• Made from high density Polyethylene. • U.V. Stabilized for long life in all weather conditions. • Non-hygroscopic and fungus resistant. • Light Weight and Economical. 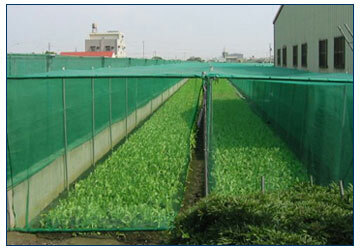 • Majorly used in Agriculture, Horticulture fields and Floriculture Nurseries. • Major component of the decorative market and used for various types of events like marriages, exhibitions and trade fairs. • Prevention from debris falling at construction sites. 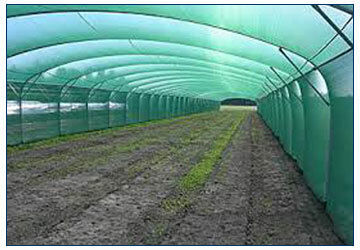 • Protection from birds and insects in agriculture fields. 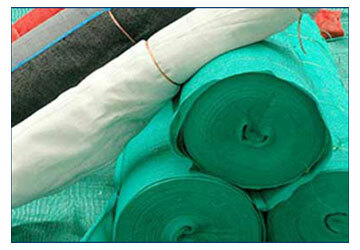 • Used in Packaging Industry.